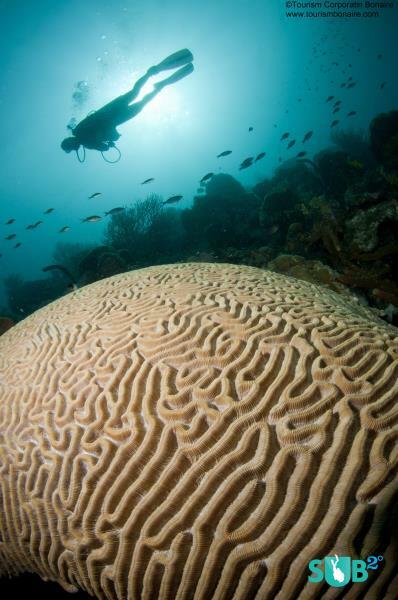 Healthy Corals and Sponges Decorate Bonaire's Reefs. 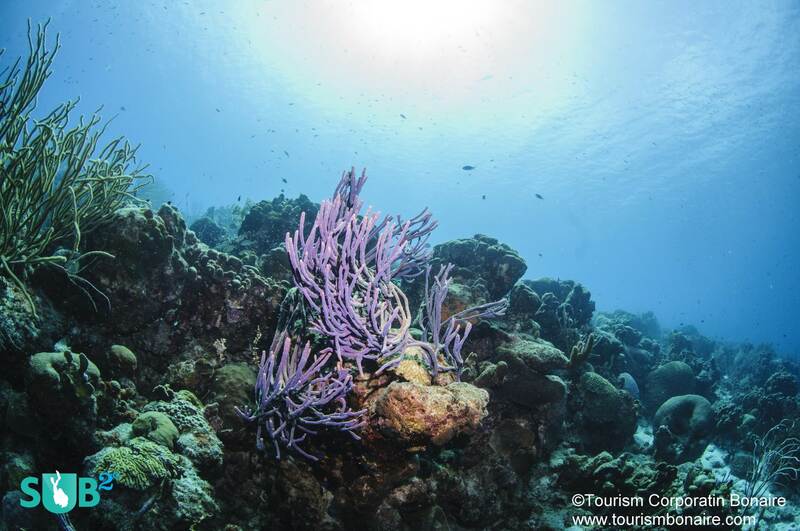 Purple rope sponge sways in the gentle current, as reef fish flit around the coral substrate. 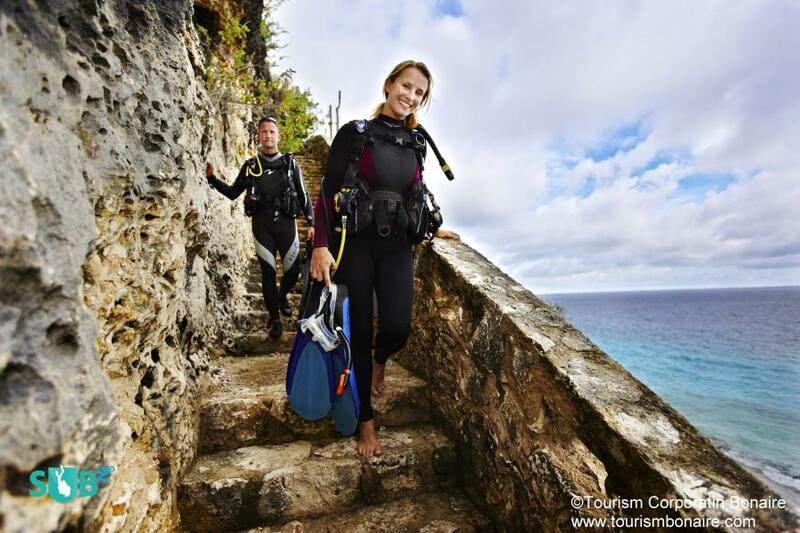 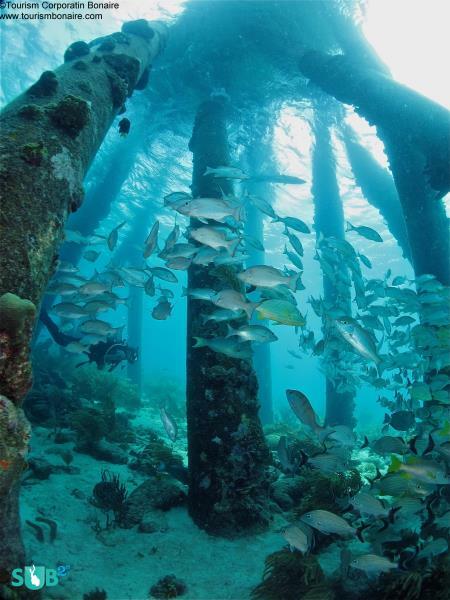 The diving in Bonaire is spectacular; divers often return to the island, time and again, to experience the scenic sites.